This is a modpack I created as a request by some of my community members over at my Fairy Tail modpack. This modpack is jam packed! It is not like majority of my modpacks. There is so much content in this pack that you can be made busy for hours upon hours. 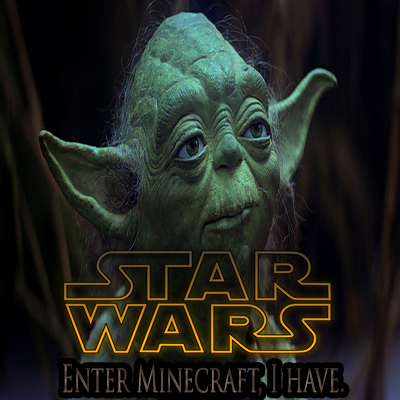 The big feature of this modpack is that it was created to commemorate Star Wars Days: May the 4th Be With You, and Revenge of the 5th. Notably I am releasing this on May 6th which I am deeming. May the 6th Rise Again. Now please note this pack has ALOT in it. It will require a decent amount of RAM allocation. I would suggest at least 3G. Don't even attempt to run this pack with something less than version 1.8 of Java or a 32bit version of Java. It will almost inevitably fail. So for all you Star Wars fans out there. I hope you enjoy this pack. And enjoy the theme which is Galactic Future Based.